3 Bedroom Semi Detached House For Sale in Leigh for Offers Over £150,000. 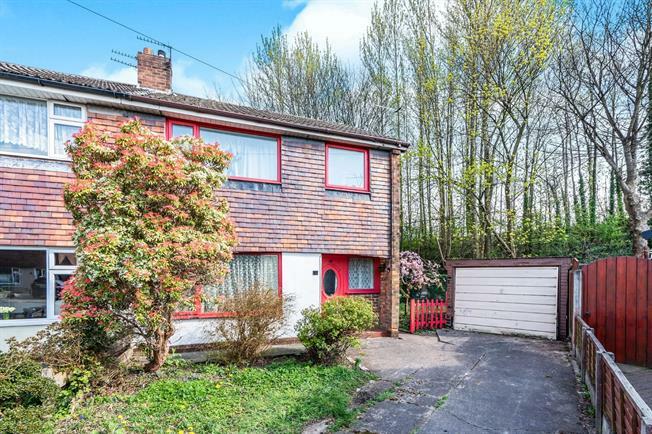 A three bedroom semi detached family home situated in a sought after area. The property comprises hallway, Lounge through dining room and fitted kitchen. There are three bedrooms and bathroom with separate W.C to the first floor. Warmed by gas central heating. Driveway approach leading to the attached garage. Gardens to the side and rear benefitting rfom being private and not overlooked. Walled nd enced boundaries.